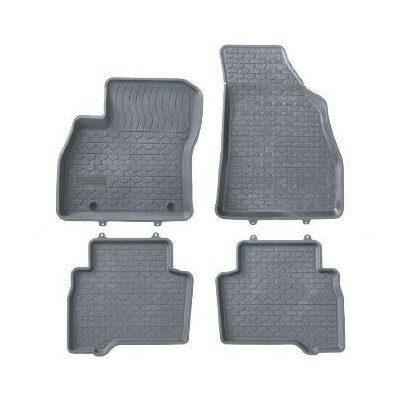 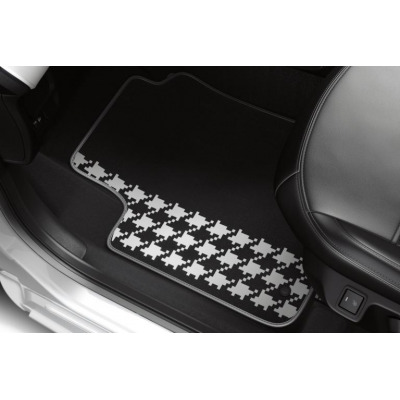 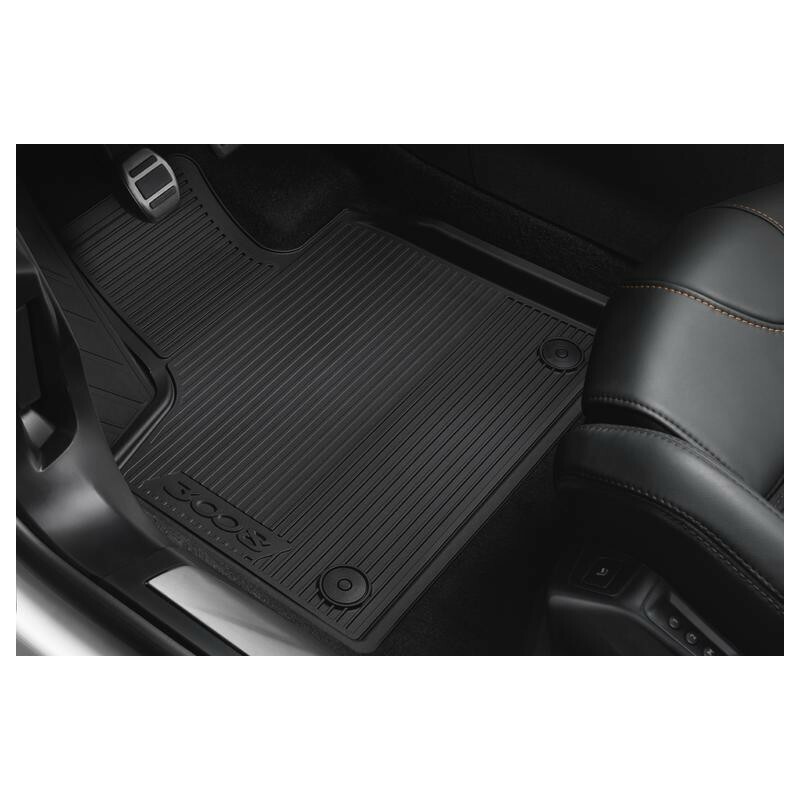 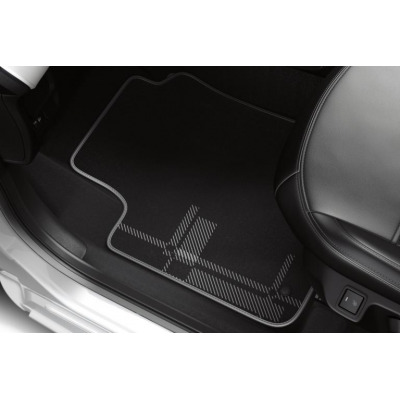 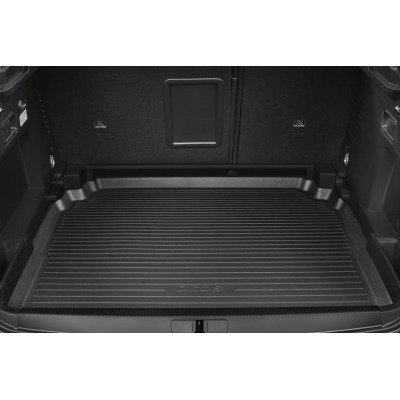 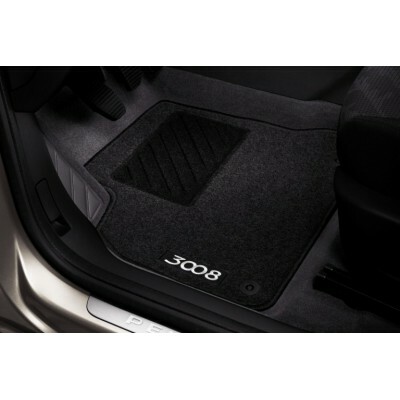 A set of 2 front mats and 1 rear mat in black shaped rubber for New Peugeot 3008 (P84). 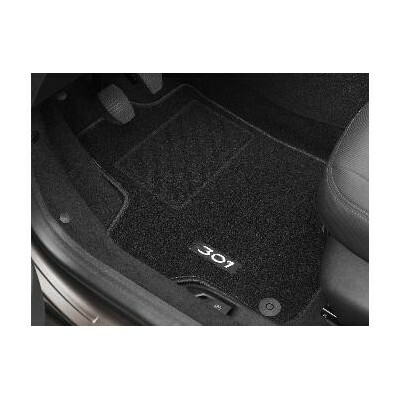 The mats are "made-to-measure", having a 30 mm surrounding edge and being of exclusive design. 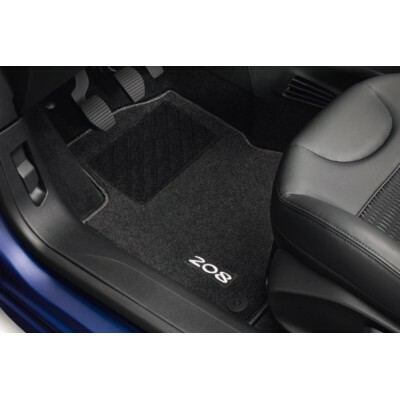 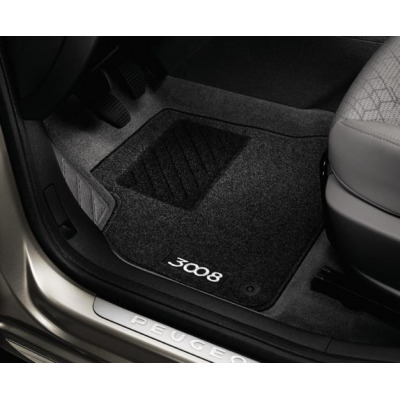 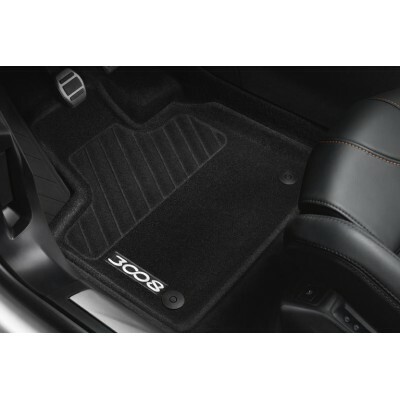 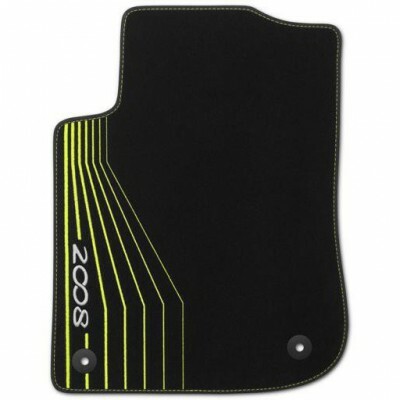 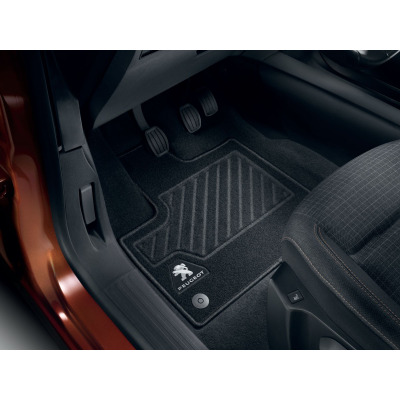 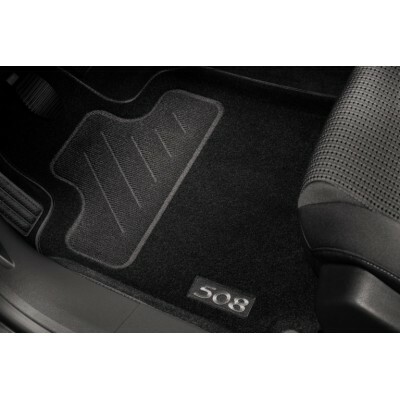 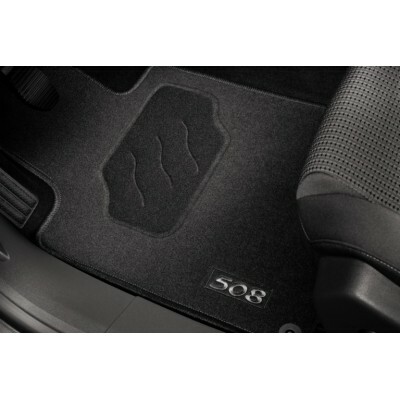 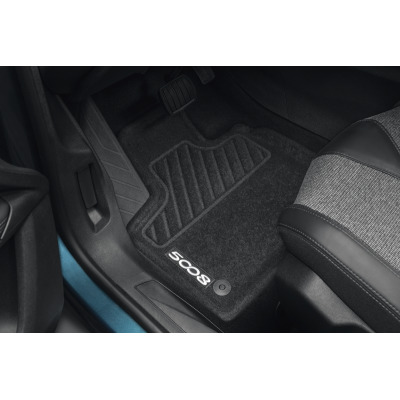 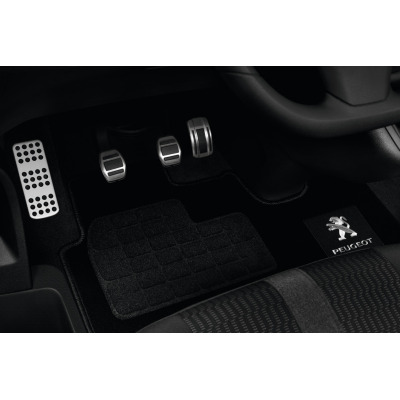 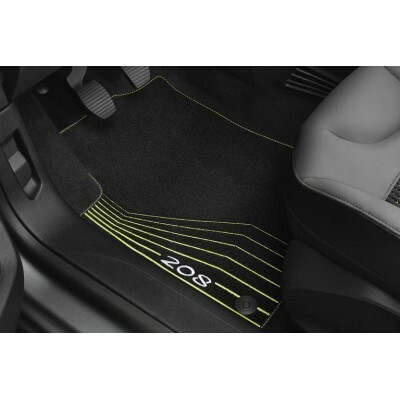 The driver and passenger mats bear the 3008 logo to emphasise the manufacturer origin. 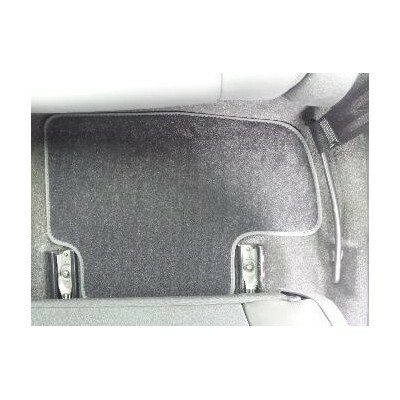 Double safety provided by the non-slip sub-layer and the positive fixing on two clips as standard. 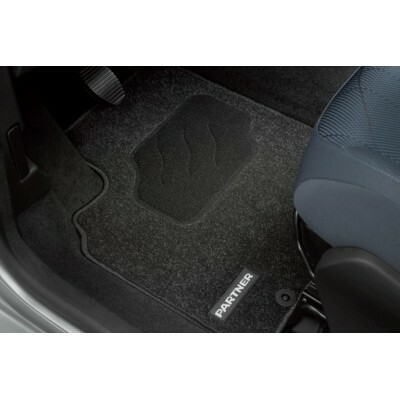 Rubber mats can be used intensively in severe climatic conditions. 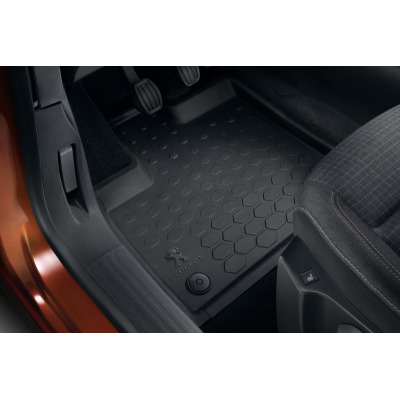 The height of the edges and the rigidity give a tray effect to protect the original flooring; they can be shaken out very easily. 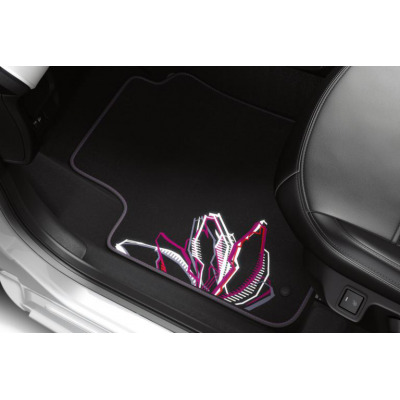 Holding excellently to the floor. 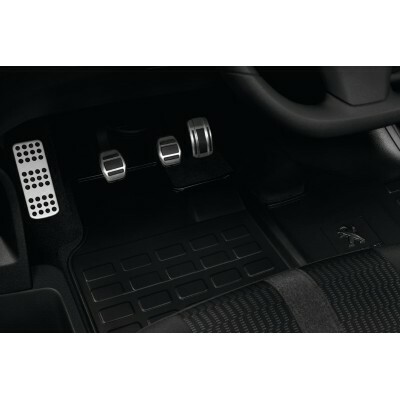 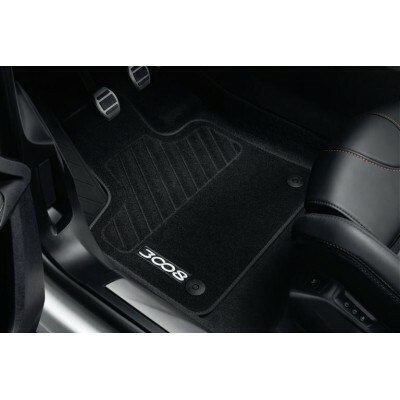 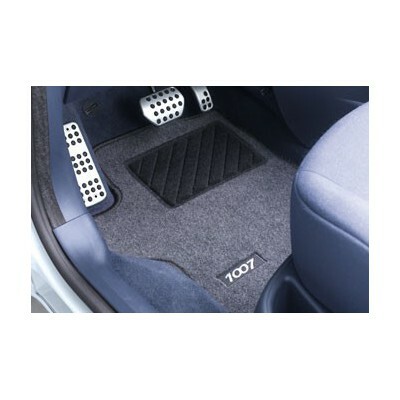 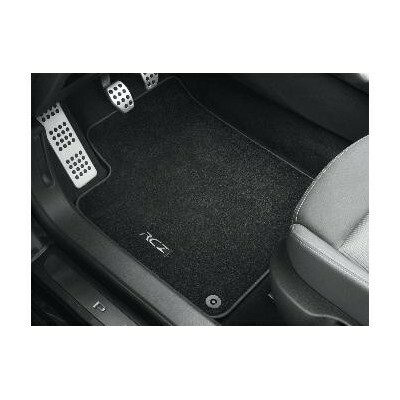 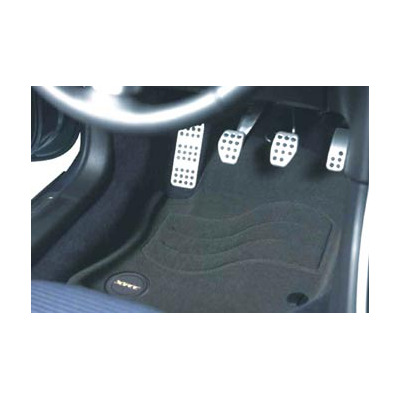 The driver’s mat has fastenings to ensure it cannot slide forward to interfere with the pedals. Highly resistant to changes in temperature without any loss of shape. 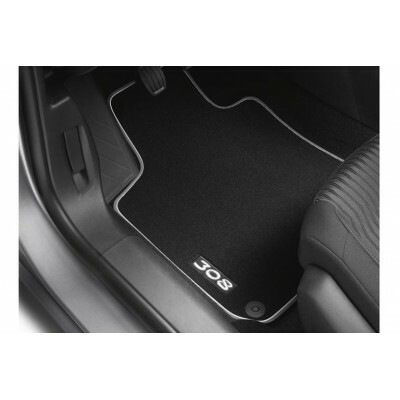 Resistant to impacts, non-flammable and hard-wearing. Suitable for intensive use and easy to maintain. 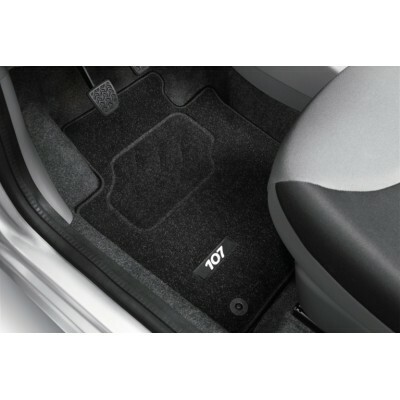 Can be simply wiped with a sponge, vacuumed or cleaned with a pressure-hose. 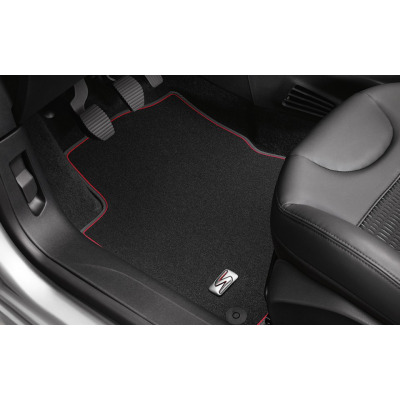 Complete protection for the original carpeting due to fitting perfectly to the contours of the floor, thus enhancing the vehicle’s resale value.